The Central Canal Towpath begins at the Monon Rail-Trail in Broad Ripple and follows a historic 1836 canal towpath. 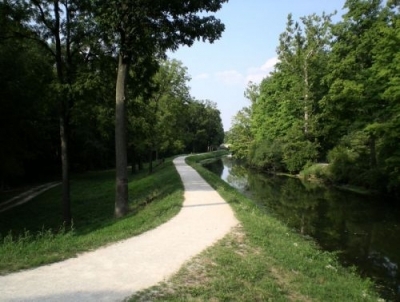 The historic character of the canal was maintained by recreating the crushed limestone surface and adding two historic bridges dating to 1872 and 1879 for trail users. The Central Canal Towpath today represents one of a handful of historic functioning canals. 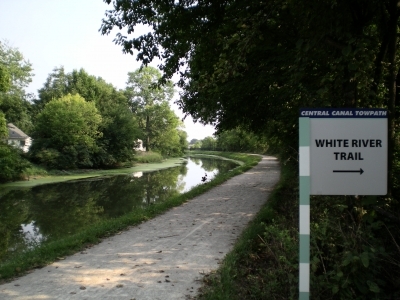 The canal was designated as an American Water Landmark in 1971, and it became part of the Indianapolis Greenways System in 1994. On the Towpath Trail. Photo by John Terrill.